If you’re in the middle of a master bathroom renovation, now is an excellent time to think about storage. There are specific things that we store in our bathrooms because it’s convenient. However, according to some experts, the bathroom isn’t a good environment for many items. Water splashing onto an appliance is enough to cause an electric shock. Your hair dryer, hair iron and the electrical outlets you plug them into should be situated where water can’t reach to avoid any accidents. Invest in waterproof speakers or bluetooth equipment so you can pipe in music without worries. In your bathroom, the only exceptions would be shavers and electric toothbrushes which are usually charged using waterproof bases. This may surprise you — and render the bathroom medicine cabinet obsolete — but the U.S. National Library of Medicine now advises that you keep medications out of your bathroom. Pills and vitamins can break down and deteriorate in humid and moist conditions, causing them to expire prematurely. Look for a cool, dry place to store them instead. We often go from the bath to getting ready for work. But there are two things women love that aren’t compatible with bathroom humidity: silver jewelry and cosmetics. Heat and moisture can lead to the deterioration of cosmetic products — especially anything that’s powder-based — and can cause your jewelry to tarnish easily. 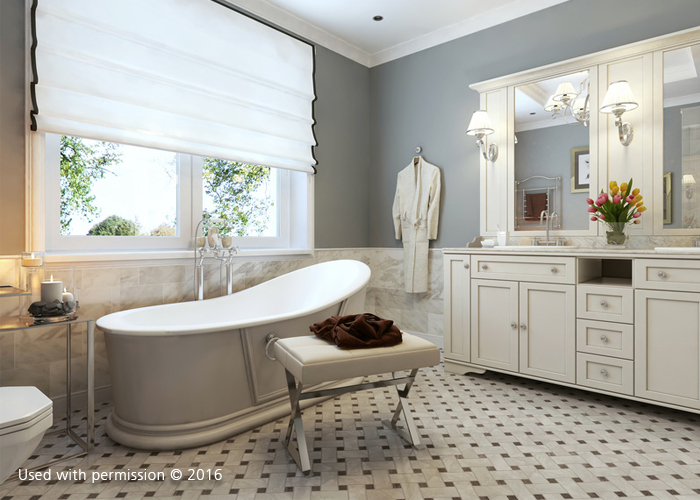 DreamMaker Bath & Kitchen of Orland Park is one of the best remodeling contractors in our area and can help homeowners design and build smart storage solutions for their bathrooms. You can count on us. Call us at (708) 320-3417 to learn more about our services and products, or to request a consultation.